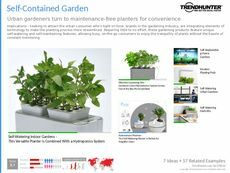 Find Better Ideas, Faster ® with a custom community gardening trend report, our PRO Dashboard and 80+ categories of premium trend reports. 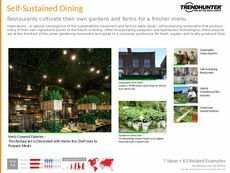 The Community Gardening Trend Report examines the rise of urban farming and gardens for the shared use of community members. 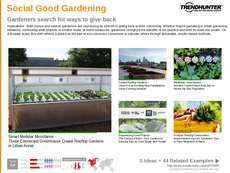 Community gardening not only helps the environment with added greenery and plants, but it also can provide food for struggling members of society and act as a source of therapy. In the report we explore rooftop and backyard gardens as spaces for community engagement, social activity and sustainable practices. This report has multi-fold purposes; community garden developers will find it highly useful as well as community center managers and those involved with programming for the homeless or less fortunate. 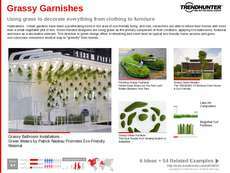 Florists, gardeners, landscape architects and urban planners will all find this report interesting as well. 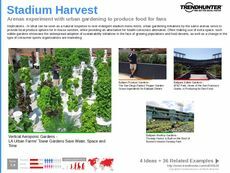 The Community Gardening Trend Report highlights the rising pattern of backyard and rooftop gardens that are meant to produce food and flowers while acting as a social gathering hub.